This in-line dimmer from LedTech offers an easy on / off and dimming function to control our LED flexible lighting products. When used in conjunction with our laptop style LED drivers and 12v or 24v LED tape, it offers a simple plug and play solution to switch and adjust the brightness of the tape without any additional products. 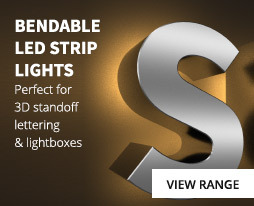 This is a simple but effective way of switching and dimming our LED tape products.  This LedTech in-line dimmer plugs into our laptop type drivers and then our 12v or 24v tape plugs into the dimmer. 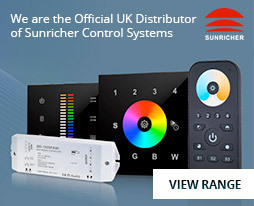 The dimmer offers a smooth dimming curve with a maximum load of up to 4A. Simply connect a suitable 12v or 24v LED driver to the input male jack plug on the dimmer and then connect the female jack socket to the male jack plug on your LED tape to switch on / off and adjust its brightness. There is a click to turn on function followed by low to high dimming, then to power off, high to low dimming followed by a click to switch off. Please make sure that the 4A load on the dimmer is not exceeded otherwise this will damage the product and invalidate the warranty.